Summer in Presque Isle County! The Spirit of Ocqueoc Falls! Before the arrival of the white man, Presque Isle county was inhabited by migratory Native American tribes. The area between the Ocqueoc River and Swan River was prime hunting and fishing territory, and the large rock located midway between the two rivers served as a boundary between competing tribes. It was also used as an altar for animal sacrifices, and legend has it that until the late 1800's, blood would seep from the rock during heavy rain storms. 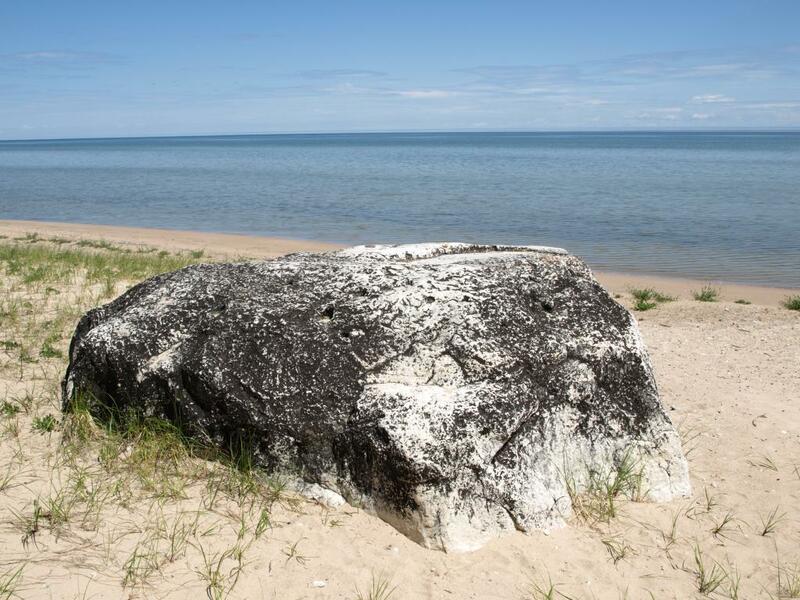 The rock probably originated in Canada, and was deposited in its present location by the receding glaciers of the last ice age when the Great Lakes were formed.